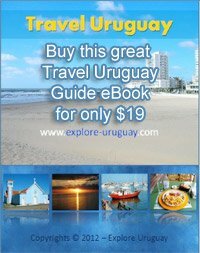 After choosing Uruguay as my destination for my vacation, my first concern was to choose the hotel and then how to get. After several readings, the conclucion was hotel must be in the area of Pocitos / Punta Carretas, because there are concentrated the best restaurants, hotels, shopping malls, and best of all this on the coastal strip where are the beaches. I choose the Hotel Cala di Volpe, excellent choice! Rooms with sea view. Now I was wondering how to get from the airport to the hotel, the airport offers its taxis but most of my reading with this reference I found it very expensive USD 50 - 80 depending on the area, there was also the possibility of going by bus but as every traveler hiba accompanied my bags. A friend who lived there recommended a company dedicated exclusively to making airport transfers, the company name is B & B Remises Srl. Another excellent choice! the cost of transportation from the airport to the hotel was only US 37 in private cars. Drivers wear suits and speak English, are very friendly. In another post I will keep telling them of things they can do in Montevideo.